For Polly, moving to Penhallow Hall is the fresh start she’s been longing for since the death of her father. Her mum has got a job managing the stately home and once the last of the visitors leave for the day the place is all theirs! One night, Polly sleepwalks into the garden and wakes to find her hand on the head of one of the stone dogs that guard the steps down to the lawn. Then she feels him lick her cheek! 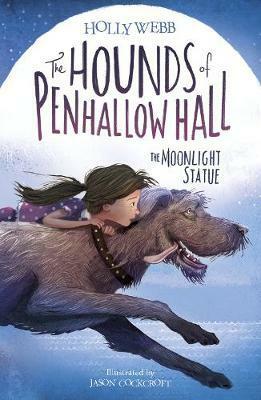 The dog introduces himself as Rex, an Irish Wolfhound who lived at Penhallow many hundreds of years earlier. And he is not the only resident ghost - Polly has also glimpsed a strange boy around the place. With Rex’s help she finds herself unravelling the story of his beloved master, William Penhallow, who was killed in the First World War aged only 17.